Retail, Grocery, And Hospitality IT News For VARs | Condor Solutions Ltd. In the news, a data breach at 51 UPS Stores locations is under investigation. 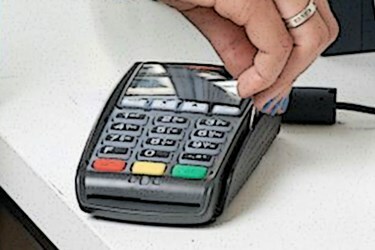 In other news, Heartland Payment Systems acquires mPOS solution creator Leaf. Also, studies confirm business travelers’ interest in virtual payment, and conclude beacons could be the most important technology for retail since the card reader. UPS Stores report this week that a security breach could have resulted in theft of payment card information. A New York Times article reports the breach was detected July 31 after UPS hired an information security firm that discovered malware on its point of sale systems at 51 of its locations. UPS states it eliminated the malware as of Aug. 11. Payment processor Heartland Payment Systems announced that it acquired Leaf, creator of a mobile Point of Sale (POS) tablet specifically designed for commerce. Leaf will continue to be payments agnostic. Terms of the agreement were not disclosed. A survey by the GBTA Foundation confirms business travelers’ interest in virtual payment, and according to 4 Hoteliers article, when presented with features, non-users’ interest spiked. Among those benefits are easier payment reconciliation, improved security, improved compliance with travel policy, and centralized payment of hotel and air travel. Business Insider has released its BI Intelligence “Beacons Report.” The study predicts there will be 4.5 million beacons transmitting by the end of 2018, and half of the top 100 retailers are testing them this year. The report looks at how beacons are being used, what retailers want to accomplish with this technology, and evidence that location-based apps drive more in-store sales.